Hand painted photograph portrait of an Arapaho woman wrapped in a wool trade blanket, with and with a tipi in the background. 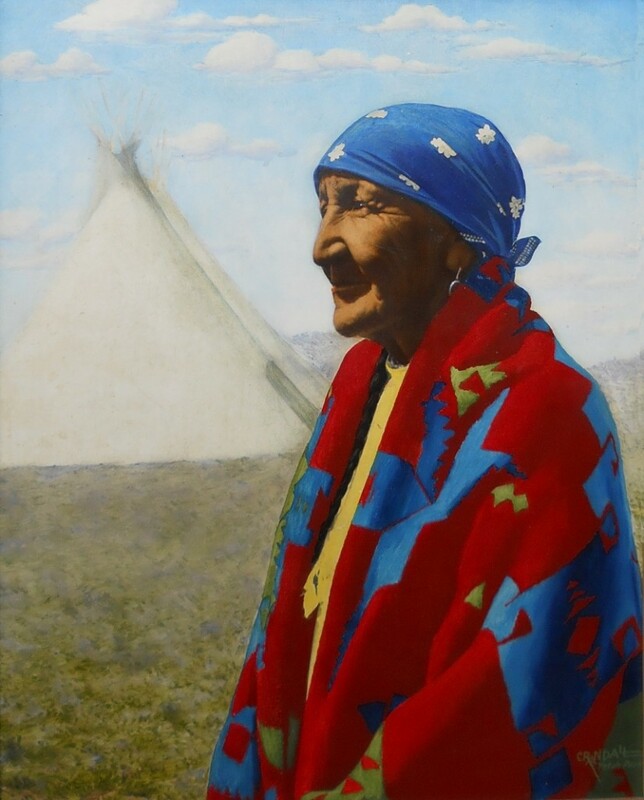 Striking, and one of a series of Native American portraits Crandall completed. This is done with the low-contrast development procedure, which is then hand painted in oil paints. Original frame. Titled on the back in Crandall's hand. 22" Wide x 28" high.